Providing specialist ground systems engineering and design of integrated solutions for air traffic management, navigation aids, and communication electronics. 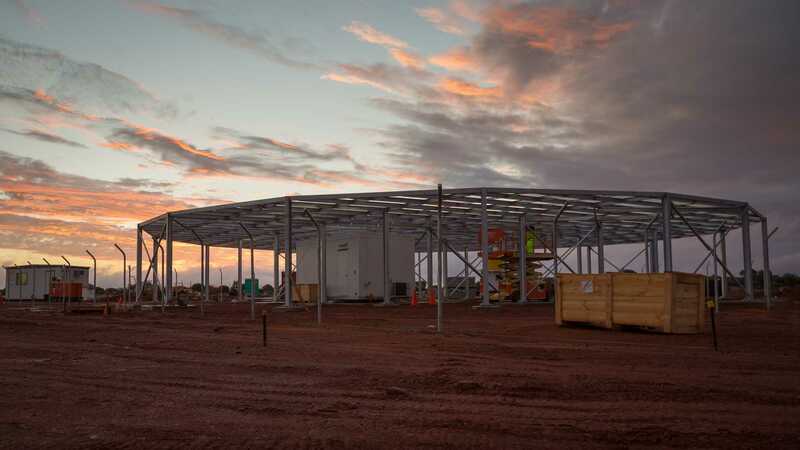 Specialising in the fabrication of Cyclone-proof DVOR Counterpoises, Radar Towers and Structures developed in our substantial steel engineering and electronic integration workshop facilities in South Australia. Our TCS-300 line of fully engineered, hot-dip halvanised, cyclone-proof is a mature product installed in many countries around the world, is rated to 300km/h and features a choice of access systems and surface mesh covering options for your needs. Technocraft has a proud and successful track record in the design of specialist transportable and rapid deployment systems. Our uniquely designed, transportable solutions are ideally suited to any of your Radar, Radio and VSAT, DVOR / DME, ILS, Power Generation, NDB / DME, MET, or ADS-B needs and are a perfect solution for deployment in areas that are remote and difficult access, environmentally sensitive, or part a disaster recovery effort. Our transportable systems are in successfully operating in all environments from the deserts of the world to equatorial islands. Our Mechanical and Electronics Technical Managers with decades of experience have worked internationally and excel in all site conditions. Our planning process considers these conditions when evaluating proposals and aims to reduce the risk in the field through careful and intelligent preparation in the factory and on-site. Technocraft Systems Pty Ltd was established in Australia in 2004. We concentrate on providing Specialist Ground Systems Engineering and Design of Integration Solutions to manufacturers and customers of Air Traffic Management, Navigation Aids and Communication Electronics.